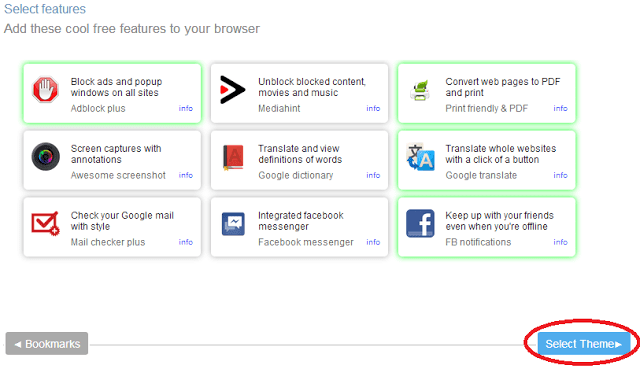 Create Your Own Chrome Based Browser Without any Coding. There are many browser available for computer user. Some of them is Chrome, Firefox, Opera and many more. It is believed that Chrome is the fastest and best browser. But if all members of your Home use the same PC and more than one people uses same browser so it is a little bit difficult to share browser with your family member. You have to log in and log out many times. One of the solution is to use different browser and another is to use specific browser for all members of your home. The LOGO of this browser will selected by you. The Logo may be your own Image or any other which you like. If you want a personal browser for yourself just for fun. So this site will help you makemybrowser.com. 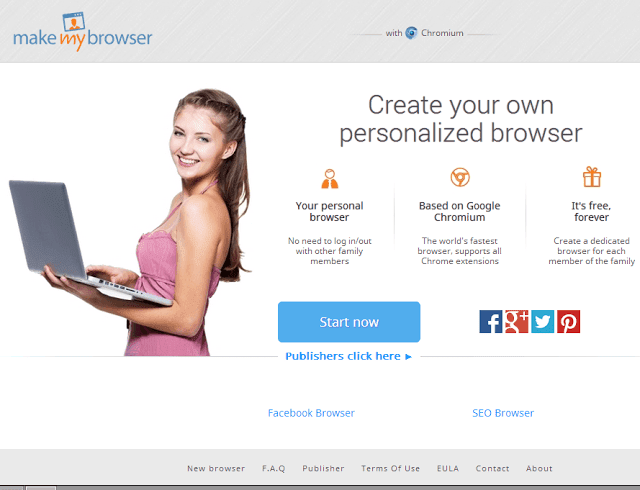 If you author of a website or blog and want a specific browser for user. This website will allow you to make a specific browser. This browser help you to increase traffic of your site. For a personal browser you don't need create an account on this site but for a browser base on your site you have to create a account. How to make your own browser. Go to http://www.makemybrowser.com/ and click on start now button. On this page enter the name of your browser and upload the logo image which you will see on your desktop. Now on the next page import your bookmarks if you want. Now just download and install as same as any other browsers. 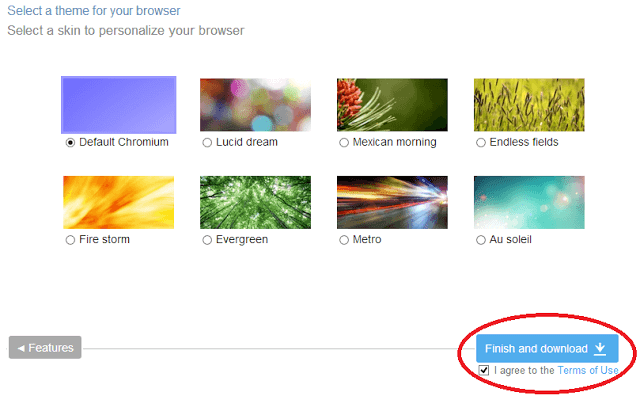 How to make Browser for your website. Just go to this link and i don't think publishers need explanation.